Siemens PLM Software has announced a free 30-day trial offer for the latest versions of Plant Simulation and RobotExpert software from its industry leading Tecnomatix® portfolio for digital manufacturing. An offering of Siemens' product lifecycle management (PLM) software business unit, the software is available at no charge to help manufacturers more easily evaluate how this technology can create value for their business. 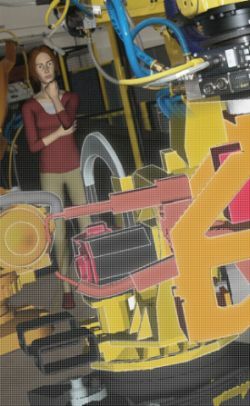 "Industry data shows that manufacturers can increase logistics system productivity by as much as 20 percent through the use of plant simulation software; and robotic simulation can increase throughput for shop floor robots," said Tom Hoffman, director of marketing, Manufacturing Engineering Software, Siemens PLM Software. "By offering a free 30-day trial, we help manufacturers learn and explore how their businesses can benefit from the use of Tecnomatix digital manufacturing applications." Plant Simulation is the world's leading discrete event simulation software used for logistics planning and manufacturing throughput analysis. Plant Simulation is an object oriented and 3D modeling tool used to perform discrete event simulation and value stream mapping. 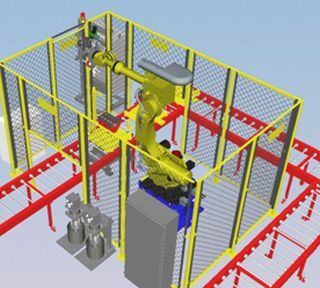 RobotExpert is an easy-to-use robotic simulation and offline programming software that helps manufacturers plan and manage their industrial robotic systems efficiently. The software can virtually optimize robotic processes thereby reducing system setup time, minimizing downtime and increasing throughput for shop floor robots. The free 30-day trial licenses for Plant Simulation and RobotExpert are available immediately.